Every week, the municipality of Utrecht had the same onboarding program with at least 20 to 30 new employees who received a special tour through Utrecht. These tours took half a day which took a lot of valuable time. There had to be another way to do this. The onboarding needed to be made more efficient, but still remain fun and interesting. "Experience a new more efficient and fun onboarding program." To realize this wish an application was created for the municipality of Utrecht in which various 360 videos can be viewed. 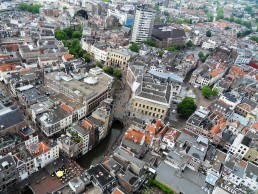 Thanks to this application, new employees can get a tour of Utrecht through virtual reality. The Dom became the center of the app. From the Dom you can navigate to different neighbourhoods by simply at it. 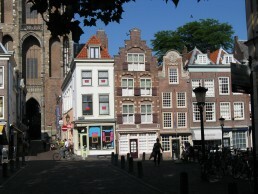 Once you have landed in a neighbourhood, an employee from the municipality of Utrecht provides relevant information about the neighbourhood, the culture and the problems. The app is shown to new employees in the city hall through the use of Oculus Go’s. In addition the app can also be downloaded in the app stores, which allows new employees to use the app at home as well. In this way the onboarding process of the municipality of Utrecht has become more efficient. New employees get to know Utrecht in a fun and informative way through the application. They get a clear picture of Utrecht and can continue the journey at home. This innovative onboarding process is now used weekly.